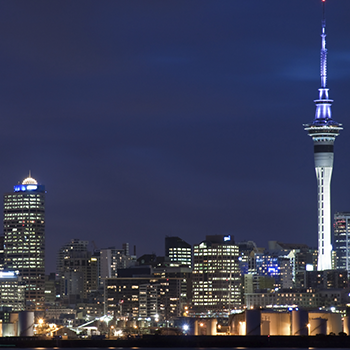 New Zealand is a small country, similar in size to Great Britain or Japan. With a population of only four million people it’s also gloriously uncrowded. It is located 1,250 miles southeast of Australia, and consists of two main islands and a number of smaller outlying islands so scattered that they range from the tropical to the Antarctic. New Zealand has been called "God's own country" and the "Paradise of the Pacific" since the early 1800s, and is a country of stunning and diverse natural beauty: jagged mountains, rolling pasture land, steep fiords, pristine trout-filled lakes, raging rivers, scenic beaches, and active volcanic zones. The people of New Zealand are so friendly and down to earth, and will be one of the things you treasure most about your visit. Visitors going to New Zealand will want to rent a car to see the many sights and sounds that this beautiful country has to offer. Economy Rent A Car serves the Auckland airport and offers a wide selection of current model vehicles to ensure you can rent the vehicle that will meet your every rental car need, at a very competitive price. Please be sure to check out Economy Rent A Car if your travels bring you to New Zealand.